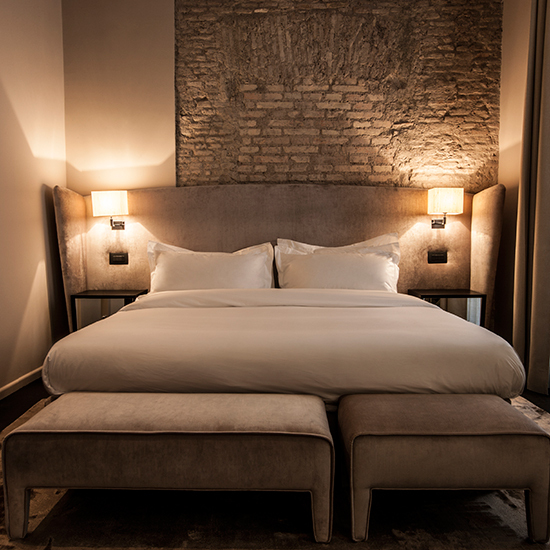 Italian hoteliers are imbuing historic buildings with modern style and contemporary design, making for an idyllic getaway to the country's best cities. 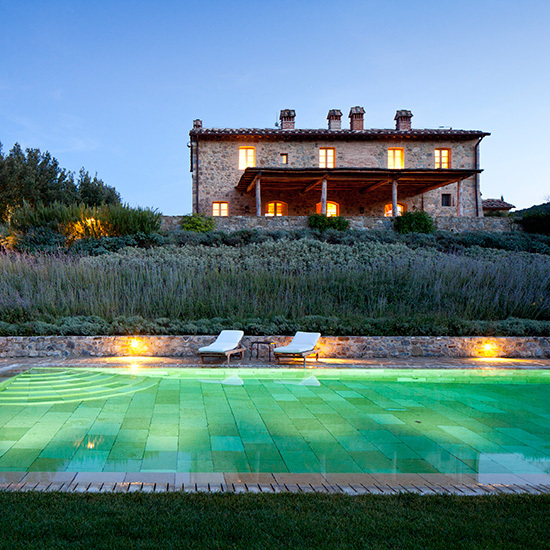 Here, the best new places to stay, from Rome to Tuscany. 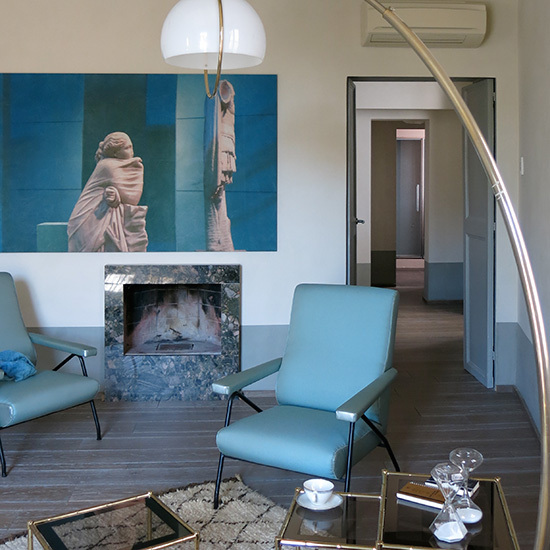 Cocreated by a seventh-generation Roman, this new boutique hotel near Piazza Navona is a combination of 17th century and midcentury modern. The place is filled with collectible Italian furniture from the '30s through '50s. No two rooms are alike: One has a claw-foot soaking tub; another has a loft with a fully stocked bar. Suites from $472; g-rough.it. Ideal for pretending you have your own pied-à-terre, these five luxurious apartments include a pastel-colored suite with a reproduction of an ancient garden fresco, and an industrial one with a cement dining room table. CasaCau staff is on call for whatever you might need: fresh local ingredients to cook in the state-of-the-art kitchenettes, say, or a packed lunch for the road. Apartments from $299; casacau.com. burning fireplace. The smallrooftop lounge offers some of Rome's best craft cocktails and a rare view of Via Giulia, one of the city's most beautiful and historic streets. Doubles from $242; domhotelroma.com. hut experience without losing the rustic vibe. The minimalist design, inspired by a safari lodgethat the owners visited on a trip to Namibia, is a blend of camp style and classic chalet. 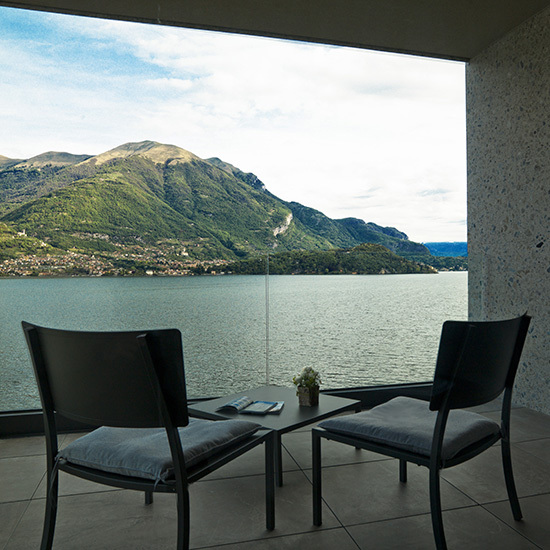 The unobstructed mountain views are most magical from the sauna’s panoramic windows. Suites from $224 (with a three-night minimum); adler-lodge.com. This former factory with an infinity pool overlooking Lake Como feels like the hangout of astylish Bond villain. 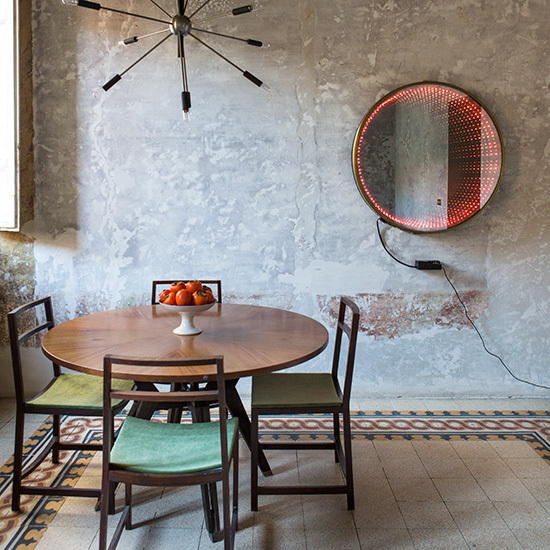 In fact, it is a newly opened family-owned boutique hotel in the quiet little town of Lezzeno. Guests can relax, or wander into the kitchen and request an impromptu cooking lesson, or take a private wooden water taxi to explore nearby towns. Doubles from $290; filario.it. 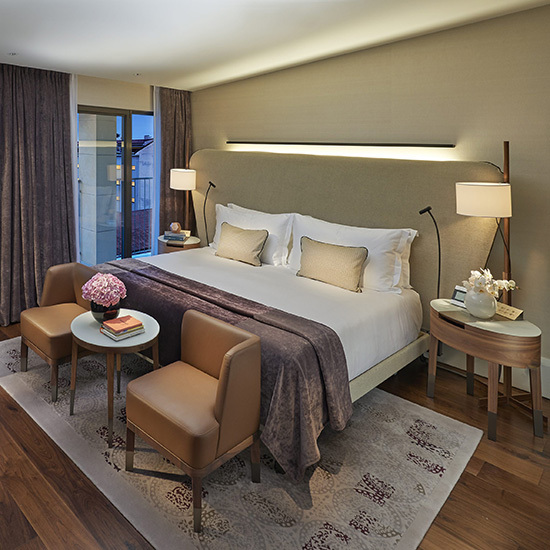 A monument to Milan's importance in the world of contemporary design, the Excelsior (part of the Luxury Collection) is an impressive remodeling of a 1930s Art Deco hotel. In the imposing new glass wing, the public spaces are filled with museum-quality design objects complete with descriptions. 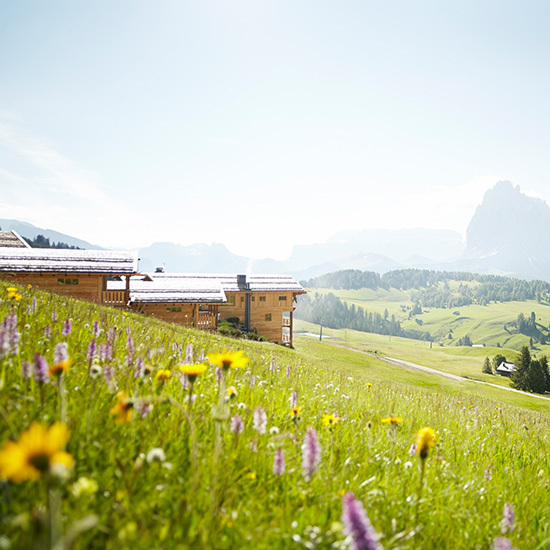 Guest perks include a chauffeur-driven Maserati, Italy's first Shiseido spa and private cooking classes in the wine cellar. Doubles from $996; excelsiorhotelgallia.com. With only 104 rooms spread throughout four historic buildings, this property has a sedate feel during the day. But at night, the place comes to life: Mixologists and a DJ take over the courtyard and bar. Doubles from $776; mandarinoriental.com. This resort is a glamorous reinvention of Isola delle Rose, a small, man-made island in the Venetian Lagoon that was once the site of multiple 19th-century hospitals. 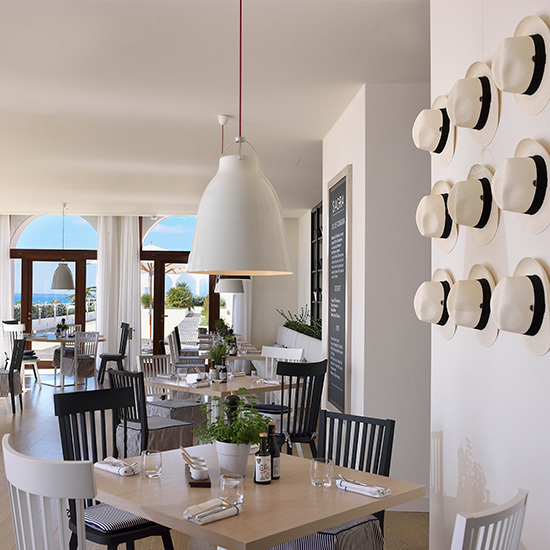 Guests can watch the sunset from the modern Italian restaurant on one of the rooftops, sleep overlooking an olive grove or take classes in the professionally outfitted cooking school. Doubles from $437; marriott.com. St. Regis has returned this sleepy hotel in an old monastery to its former status as a celebrity hot spot. 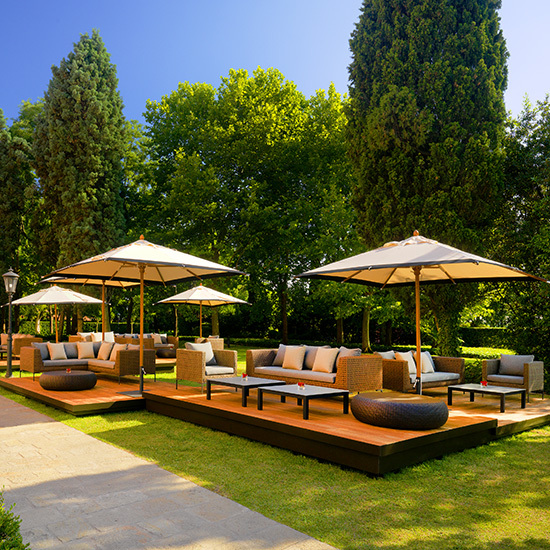 Even if you don't spend the night in a room with a view of the incredible gardens, take a boat over from Venice for the day to lounge in one of the pool cabanas or have lunch at the famous seafood restaurant, Acquarello. Doubles from $466; stregisvenice.com. The Tuscan complex in medieval Borgo includes a cooking school where guests can learn to make wood-fired pizza, a golf course and a winery. Visitors during harvest season can help pick grapes or create meals sourced from the on-site garden. Suites from $565; rosewoodhotels.com. 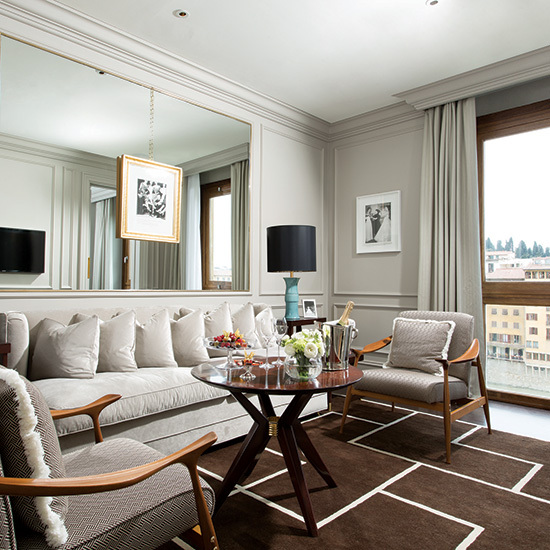 The hotel, steps from the Ponte Vecchio bridge, is owned by the Ferragamo family. Designer Michele Bönan filled each of the 37 rooms with mirrors and cashmere throws. The staff can arrange a private dinner in the sculpture wing of the Galleria dell'Accademia, home of Michelangelo's David. Suites from $388; lungarnocollection.com.